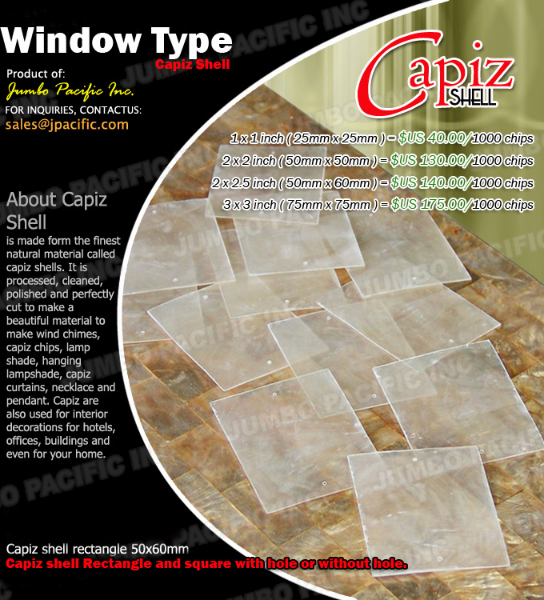 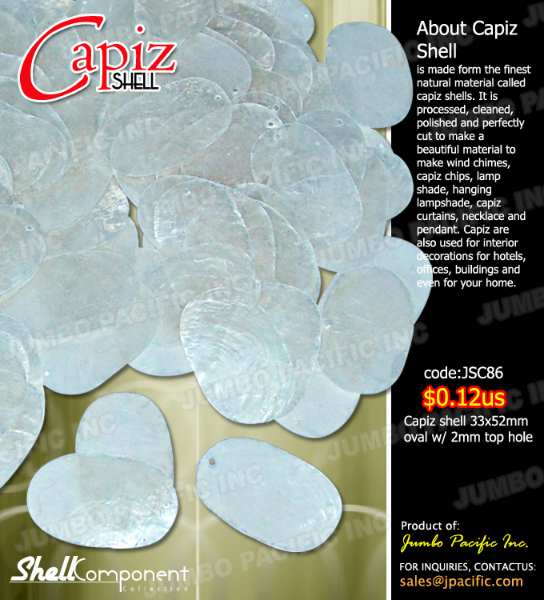 Capiz Shell Components are capiz shell that is processed, cleaned, polished and perfectly cut into different shapes (donut shape, oval, flower shape, round, square, rectangle, teardrop, butterfly and a lot more shapes) to make it into a beautiful material. 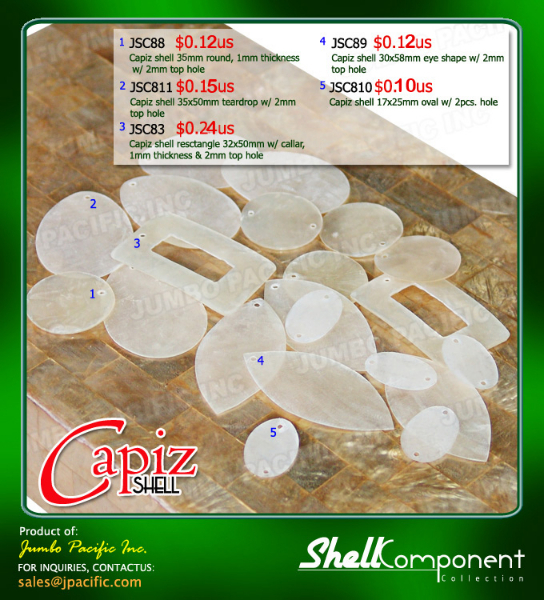 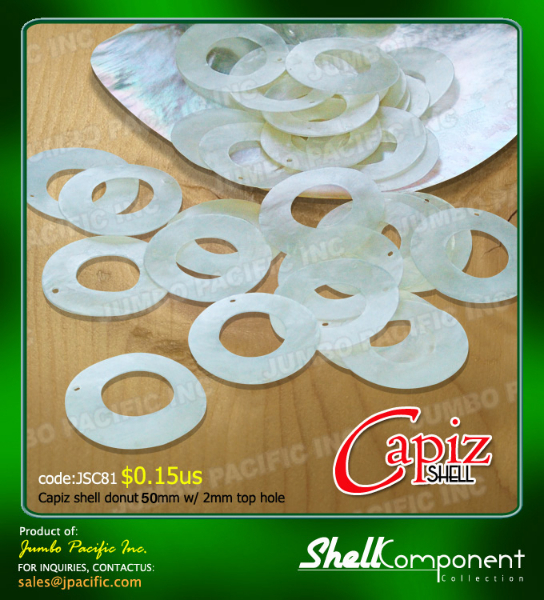 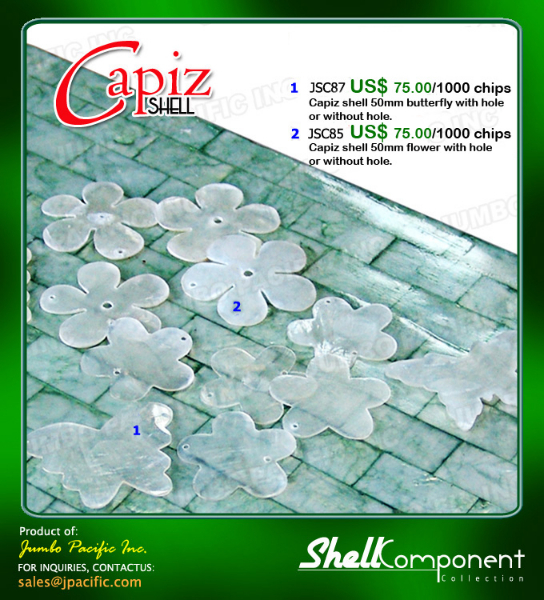 This Capiz shell components can be made into wind chimes, capiz curtains, capiz accessories, capiz chandeliers, capiz floor lamps, table lamps, hanging lampshades, necklaces and pendant, belt and other fashion shell accessories and jewelries. 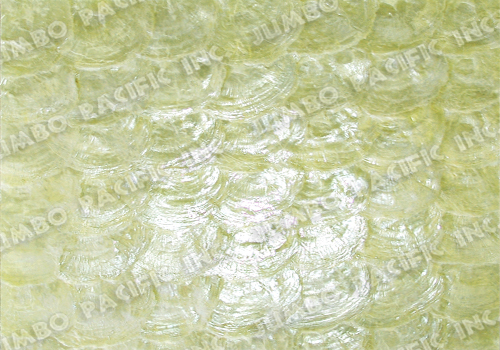 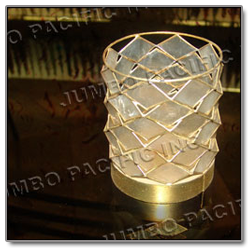 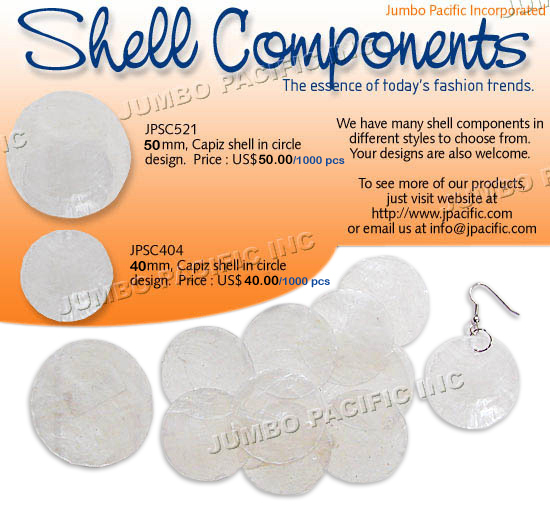 We have a lot of shell components in different styles and we also welcome your own designs.